Military culture has always had a conservative attitude towards the development of new technological concepts. In this regard, the transition to the sub-caliber AR-platform has a much greater role in shaping military change than anything until that time. It’s not surprising considering the apparent features and performance out to 500 yards .223 ammunition has offered. Featuring chambers larger than SAAMI .223 Rem, AR-15s chambered for the 5.57 NATO round 5.56 mm safely shoot .223 Remington as well as 5.56. Actually, the case dimensions of .223 and 5.56 are the same. 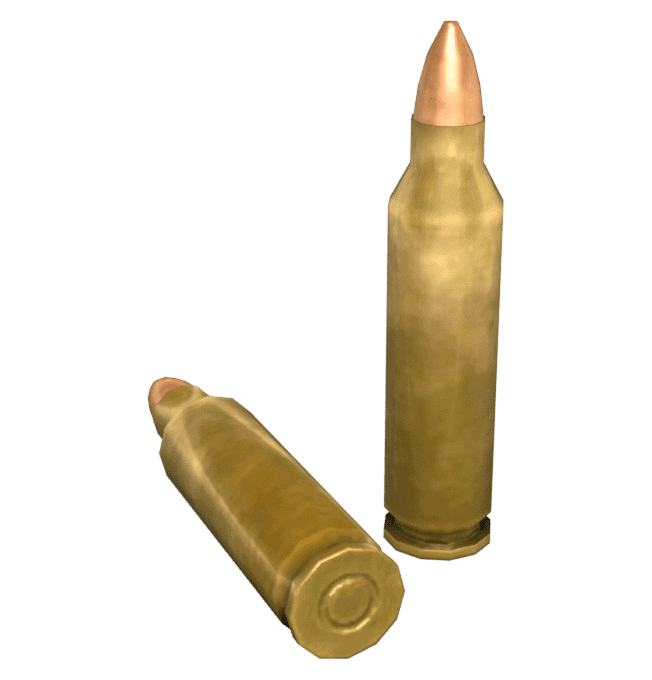 However, the 5.56mm Mil-Spec ammo is loaded hotter, operating at higher chamber pressure and acting as “+P+” ammunition. This means that the most common AR-15 chamber, the .223 Remington is not fully appropriate for the 5.56×45 NATO round. It is smaller and slightly tighter. Aside from the different chambering, AR-15s designed for .223 Remington may have problems with shooting heavier ammo. This is true for 77-grains (5 g) and above, which is commonly used in the Sport Rifle Competition. Another drawback to .223 caliber rifles refers to the rifling itself - the spiral grooves inside the barrel. AR-15 civilian rifles in .223 Remington are designed to stabilize frangible varmint bullets weighing 40-60 grains. But with the standard 1:12" or 1:9" twist rate of most barrels, they could not properly stabilize heavy military bullets. The barrel twist with .223, then, is often best at 1:7" twist, often stamped "5.56mm." While the non-adequate twist rate is often blamed for reduced accuracy, you probably will not even notice a difference up to 300 yards. By the way, there are few hybrid chambers such as .223 Wylde and .223 Match chambers. These are preferred by serious competitive shooters. Providing more versatility with longer and heavier bullets, these hybrid chambers are designed to exploit the accuracy advantages of the .223 Remington chambering since it is better overall than what you can expect from a regular 5.56×45 chamber. Anyway, the rule of thumb would be to use rifles with .223 Rem chamber to fire only .223. A 5.56 chamber to fire either 5.56 and .223. If you want competition-level accuracy, a .223 Wylde chamber will shoot both 5.56 and .223 as well. For example, a friend of mine has to change the barrel of his an M85 Mini Mauser rifle in .223 Remington because of using 5.56mm military surplus ammo. However, it was after he’d fired about 3,000 those rounds. Yes, there’s a slight risk. Yes, it will also cause more wear and tear on your rifle. We don’t recommend it but it’s not extremely high-risk either. “Good” is always a relative term. It depends so much on your use. Obviously clean ammo is always best. But according to your preference, there are many bullet types and designs in the market. For general target shooting/range training purposes with an AR-15, shooters prefer the full metal jackets (FMJ) or ball ammo. For ethically hunting varmint and other small game the hollowpoint/softpoints (HP/SP) are a good choice. We have prepared a selection of the best .223 ammo for the AR-15 in the next chapter. Let’s have a look at a few of the best ammo types that will serve you well for your AR-15. 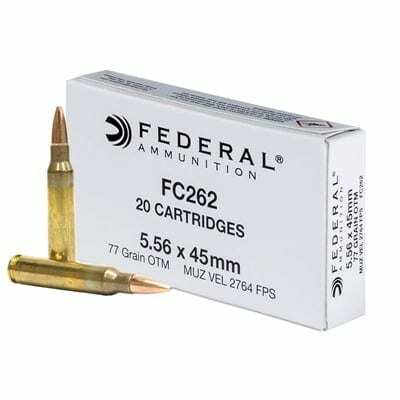 Federal’s family of Fusion ammunition belongs to an increasingly popular trend of bonded bullets. 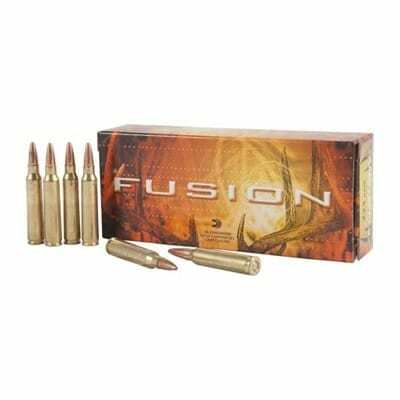 Fusion ammunition was built explicitly for deer hunting and use in modern sporting rifles with short barrels. This specialized 62-grain boat-tail rifle bullet has a lead core electrochemically bonded to the copper jacket to exclude the possibility of jacket separation. This is to keep the highest possible weight with the blood trail. The Fusion ammunition has non-corrosive boxer primers allowing brass cases to be reloadable. Although we know every barrel prefers particular load, there is some criticism about .223 Fusion accuracy. Also, some users found the bullet disintegrated without leaving a blood trail, making it not ideal round for hunting. 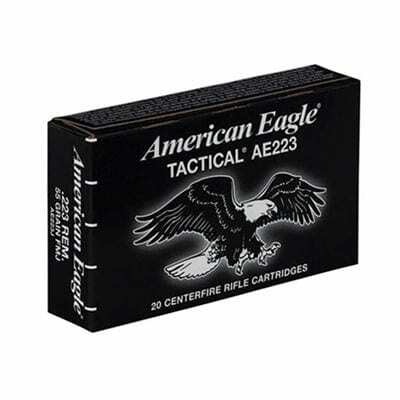 This low-priced .223 ammunition comes from Federal’s daughter brand American Eagle. It is produced at the Lake City Army ammunition plant to NATO specifications for 5.56x45mm. This American Eagle round is loaded with 55-grain FMJ bullets. It reaches a muzzle velocity of 3,240 fps. That’s great for practice with the same-power loads you will actually hunt with or use in competition. 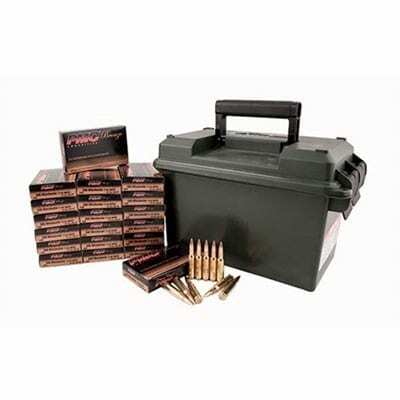 This affordable load from Federal American Eagle is designed specifically for target shooting, training and practice and features boxer-primed, non-corrosive reloadable brass cases. On the other side, while it is economical ammo you can expect groups ranging from 3 to 5" at 100 yards from an average AR. There are also problems with dirty combusting and sporadic fails to fire. 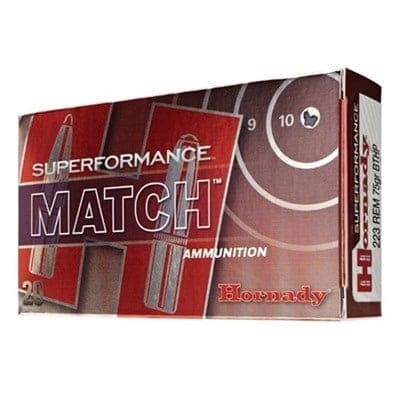 The Hornady Superformance ammunition is renowned for the manufacturer`s innovative powder blend. They claim it provides every Superformance caliber with up to an additional 200 fps. This .223 Remington round reaches a muzzle velocity of 2,930 feet per second. It has the added benefits of increased range, flatter trajectory and reduced wind drift. The Superformance Match .223 cartridge is topped off with 75gr Boattail Hollow Point Match bullets enveloped with a new AMP (Advanced Manufacturing Process) bullet jackets, enabling a best-in-class ballistic coefficient. While shooters have not recorded any misfires or increased soiling, the accuracy is quite humble. It’s at the level of surplus and much cheaper ammo brands. PMC is a South Korean ammunition company and Korean Army ammo supplier. The .223 PMC Bronze ammunition is 55-grain full metal jacket bullets conforming to mil-spec. It features muzzle energy of 1,250 ft-lbs and a blistering 2,900 fps of muzzle velocity. These all-copper-jacketed boat-tail bullets deliver flat trajectories and midrange accuracy perfect for target applications. The PMC ammunition is loaded in new brass, reloadable cases with boxer primers. The non-corrosive cartridges have crimped military primers that should be removed before a new primer can be inserted during reloading. However, the low price comes with issues such as reliability and accuracy which can vary from batch to batch. ArmaLite started its rifle experiments using the commercial .222 Remington cartridge. At one point they considered more powerful .222 Remington Magnum. Meanwhile, Remington designed the .222 Special. But to prevent confusion - there were so many .222 rounds designations, they renamed .222 Special cartridge to .223 Remington in 1959. The .223 Remington (actually a 0.224-inch diameter bullet), the newest and improved version, was an incredible achievement in the firearms world. Nevertheless, modifications continue to be made with the derivative form, which was adopted as the 5.56×45mm NATO in 1963. The Sporting Arms and Ammunition Manufacturers' Institute (SAAMI) standardized the Remington .223 cartridge in 1962. However, 5.56mm NATO has never passed through that process. You could almost consider it the world's most popular wildcat round. Despite the initial use of the .223 ammunition and the lack of SAAMI standardization, 5.56 rounds made to Mil-Spec is more popular because of its universality. While the .223 Rem. ammunition mentioned above can be used in 5.56mm chambers, the next lineup of the 5.56 NATO cartridges as a military round that runs at higher pressures are not recommended to be fired in .223 Remington chambers. This 5.56x45mm NATO military surplus ammunition is manufactured at the Lake City Army Ammunition Plant and sold under the Federal American Eagle brand. It bears a brass case headstamped with the Federal symbol. The bullet reaches a muzzle velocity of about 3,100 fps from a 24-inch barrel and is among the best self-defense and all-around AR15/M16/M4 ammo around. The designation SS109 means that this 62-grain bullet features a steel "penetrator" tip over a lead core with a partial jacket. These green-painted bullets have better penetration than the 55 grainers. Just remember that some ranges prohibit steel core ammunition, so you have to check the rules before shooting this ammo. 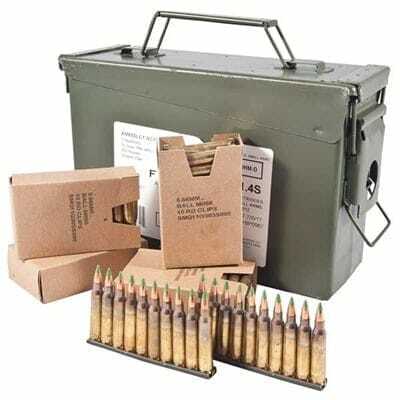 This Federal Lake City ammunition follows the “Green Tip”-ammo or M855 specification using a non-corrosive coating in boxer-primed, reloadable brass cases. However, the designation XM855 means that this ammunition did not pass inspection to meet tight military specifications. In other words, you may get ammo rejected for dented cases - sometimes on the shoulder; some on the case mouth or for some other aesthetic reasons. They’re still functional but not perfect. One of the most popular makers of ammunition, Black Hills is known in the gun community for their high-quality ammo. In fact, it’s generally considered comparable to the best handloads. They produce a 5.56x45mm, 77gr tipped MatchKing (TMK) bullet reaching 2,700 to 2,750 fps at the muzzle. This unconventional hollowpoint cartridge uses the hollow cavity to put the majority of its weight towards the bullet's rear. That makes it more stable in flight and increase accuracy. The accuracy of MatchKing bullets has been acclaimed worldwide in many competitions. The military also adopted a Black Hills round with an open-tipped match (OTM) under the designation the MK 262 Mod 1. Utilizing a ballistic tip, this ammo has incredible terminal performance and operates equally well with long-range targets and CQB scenarios with short-barreled rifles. The Black Hills ammunition is exceptionally accurate but it is also expensive. The best application would be in law enforcement and home defense. The South Korean ammo manufacturer Poongsan Corporation offers their 5.56 NATO X-TAC line ammunition on the commercial market. It is produced to the highest industry and military specifications. The cartridge is topped with 55-grain full metal jacket bullets, resulting in a high muzzle velocity of about 3,270 fps. 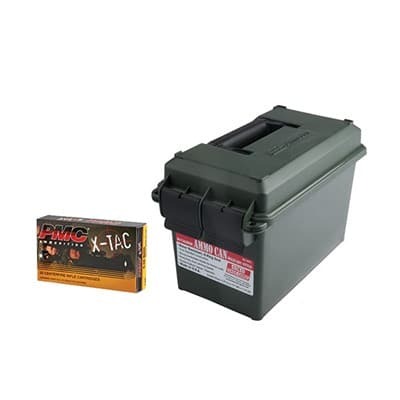 This economical ammo is loaded in reloadable brass cases with boxer-type primers. Since the PMC ammo has crimped military primers like most of the others, reloaders may need a special tool to accomplish this operation. The PMC 5.56x45mm NATO 55 gr FMJ ammunition is made up to mil-spec M193 round. The manufacturer does make a point to remind shooters - as we have already done - that this is not intended for use in commercial or bolt-action rifles chambered for .223 Remington caliber. While X-TAC ammo is perfect for everyday plinking, some users have made complaints on too visible signature while firing in twilight or low light conditions. 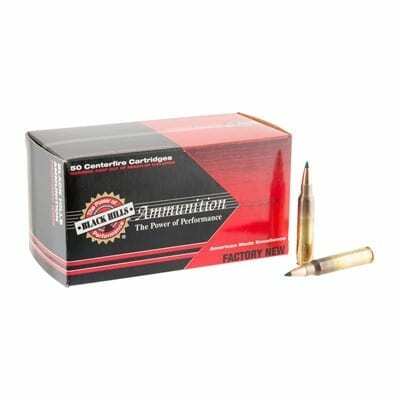 The Lake City ammunition plant manufactures this 5.56x45mm 77-grain Open Tip Match ammo. The intention is that it resemble the renowned military MK262 SPR cartridge. Using the heavy 77-grain open-tip bullet with a boat tail for a more aerodynamic profile, this cartridge has a muzzle velocity of 2,762 feet per second and provides muzzle energy of 1,293 ft. lbs. These projectiles have thicker jackets and feature a flatter trajectory and less wind drift than lighter bullets. However, this ammo is not Federal Premium series, and by shooters experience, this heavier 77-grain Open Tip Match ammunition suffers from some inconsistency. Its best use would be for long-range target practice and casual plinking. To choose the best ammo for your black rifle, you'll need to decide what the upgrading would be used for recreational shooting, hunting, competition, or home defense. If you are a hunter or dedicated marksmen, the answer is pretty clear - only the best ammunition you can afford is for you. However, if you are a high-volume shooter, then you should take advantage of the great military surplus ammo bargains. On the other hand, many AR-15 owners are concerned about shooting 5.56 in a .223 chamber since it is highly inadvisable. The difference in pressure can be anywhere from 1% to 10%. In most cases it may not make a difference.